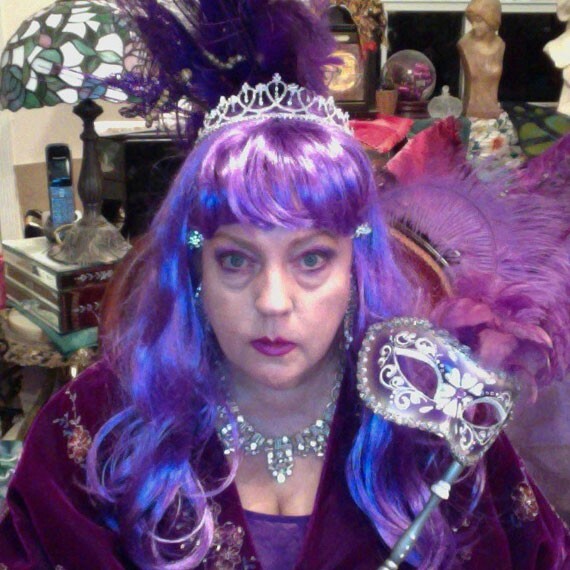 Countess Starella is one of the most loved and respected clairvoyants in the world. "i am the flamboyant clairvoyant, luminous prophetess, angelic channel, tv/radio star, author, comedienne, visionary, musician, classic film historian, enlightenment facilitator, romance counselor extraordinaire. I hold miraculous secrets to health, success, happiness, and have a remarkable gift, stamina and integrity never seen on this planet before. my greatest desire is to empower the lives of those i touch. I will inspire you with thoughtful spiritual insight and positive practical advice. I am from a metaphysical family dynasty and have lived in 12 countries and 30 states gathering wisdom and techniques which will change your life! If you would like to get a reading from Countess Starella then please complete the form below where on submission you will be taken to PayPal to make a payment of £30 ($50 approx.) – Once this email and payment have been received you will receive an email to confirm your time and date. Very gifted, insightful and very kind warm soul. connect very quickly and read very precise. Top rate psychic of course, no doubt about it. 10 stars. Thank you answer all my questions. awesome, amazing. Such a warm warm heart I was looking for guidance and understanding into navigating my own feelings and she was able to draw from me the core of what my challenges were and then gave me spiritual insight to overcome Thank you I will come back and recommend her.